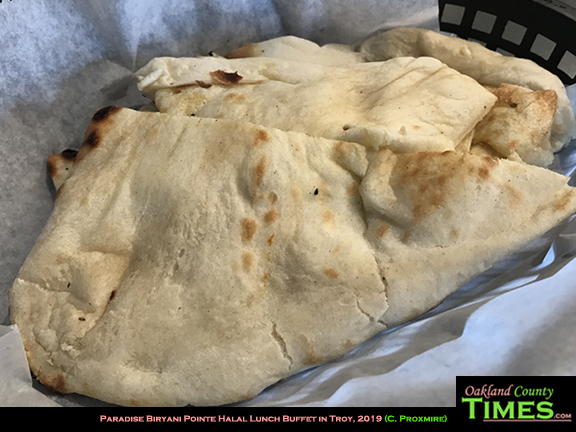 Troy, Farmington Hills, MI- In Islamic tradition, Halal refers to foods that have been prepared in accordance with Muslim law. For meat this means preparation in a humane way, and that a blessing is said before slaughter. Many vegetarian dishes also qualify as Halal. 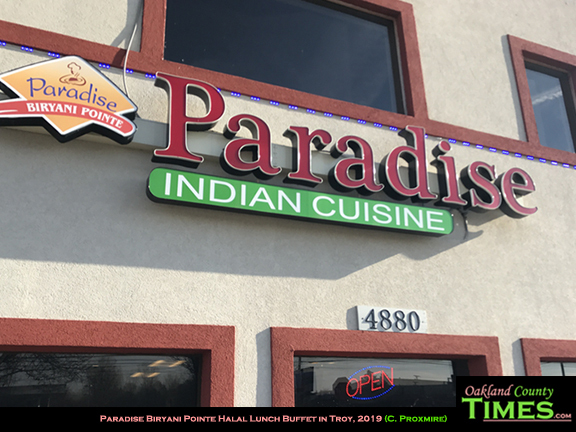 Paradise Biryani Pointe is an Indian restaurant with locations in Troy and Farmington Hills that feature 100% guaranteed Halal cuisine, including a fabulous lunch buffet. A friend and I enjoyed the buffet at the Troy location, at 4880 Rochester Road, sampling a little bit of everything. While my taste buds are still maturing, my friend likes his food spicy and full of flavor. Thankfully there were options to please both our palates. 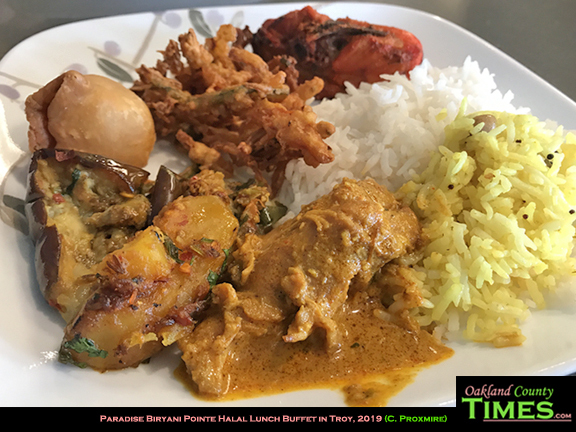 Among the items were Goat Curry, Tal Tadka, Vegetarian Jalfenzi, Chicken Curry and Butter Naan. 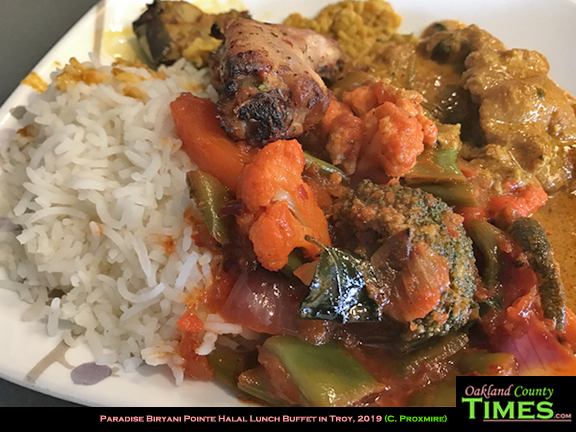 The buffet was small compared to other restaurants I’ve tried (such as Fuji Japanese Buffet in Madison Heights and Charminar Biryani House Indian Restaurant in Troy), but the food was great. 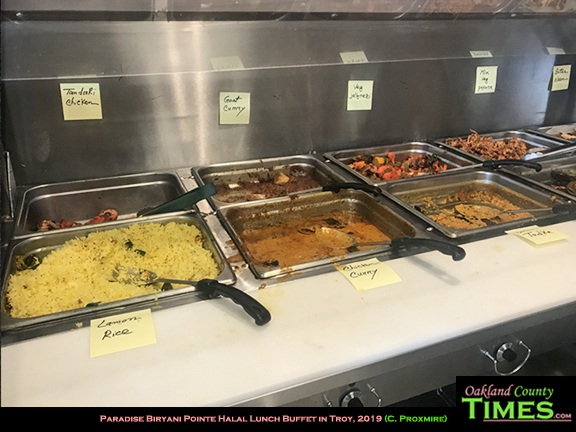 There is also a full menu of Indian food, including Dum Biryani, Tandoor, Kababs, Soup, Seafood items and more. 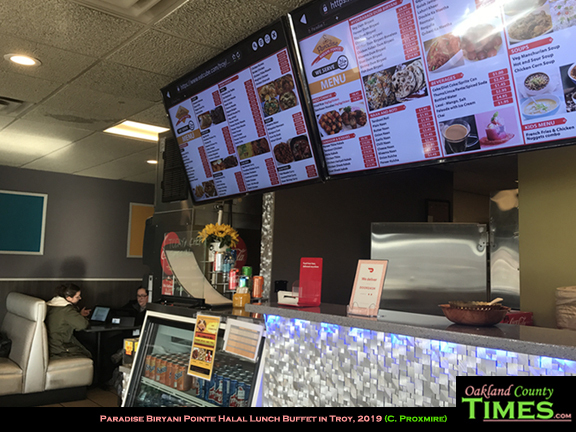 The restaurant itself was cozy, and Indian music videos played on television screens, adding an extra bit of ambiance.